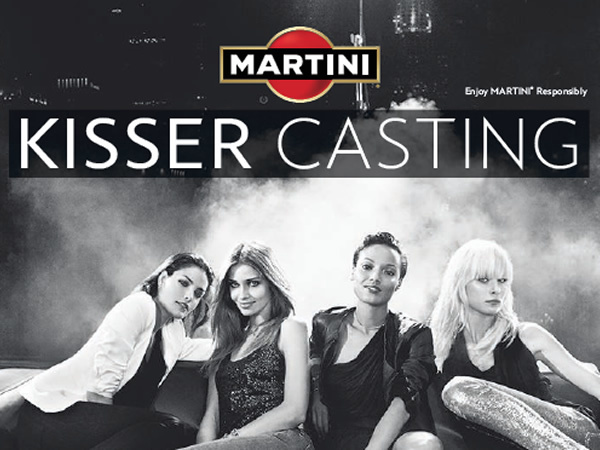 My attention was caught this weekend by a big, bold ad for MARTINI, which carried the headline ‘Kisser casting’. The stylish Italian brand is looking for men age 25+ to star in their next TV ad. ‘Luck is an attitude’ is the strapline for a campaign that is certain to create a huge social media buzz. The lucky lip pucker not only gets to kiss 10 (no doubt, stunning) women but also earn €150,000. For a chance to win, you have to upload a creative video on MARTINI’s Facebook page; the ones with the most Likes will be selected for the grand finale in Rome. Fancy your chances? You’ve got until October 8th to showcase your kissing talents anytime, anyplace, anywhere. This entry was posted in Copywriting tips on September 26, 2011 by Caroline Gibson.